Many years ago, at one of the most important moments in Jewish history, the Torah was given at Mount Sinai. 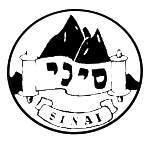 Sinai Youth derives its name and its logo from that very mountain. Here at Sinai Youth we work to re-create that historic moment for all of our youth today so that our chanichim feel ownership over and connection to that significant moment in Jewish history. Our chanichim often grow up in Jewish homes and receive a formal Jewish education and we work to instill a sense of excitement for Jewish ritual, offer the chance to explore Jewish thought and beliefs and emphasize serving the community. The Sinai experience models a synthesis of recreation and ritual, of Torah study and involvement in the outside world, and demonstrates how to live with that tension of balancing our two mutual obligations. Sinai Youth provides the perfect platform to inspire and empower the next generation of Jews and helps to prepare them in the best way possible to engage with the world in a constructive manner. Sinai is a Religious Zionist movement which educates towards the importance of the land of Israel, its religious significance and the need to continue with its development to ensure that it becomes a light unto the nations. Sinai also affiliates itself within the Modern Orthodox framework and believes that it is not only necessary but also valuable that our children will go on to ensure that the world becomes a better place for mankind to live in. However, Sinai has never been able to be simply reduced to being put into boxes. As a small and dynamic movement, Sinai quite literally exists according to those who run it and leaves plenty of room for diverse opinions, healthy debate and innovation when the community needs it. The halachic policy and guidance is decided by Rabbi Alan Kimche in conjunction with the Mazkirut. Sinai has been running weekly groups, events and volunteering activities ever since we started all those years ago. We hold annual summer and winter camps and day camps for all ages. We run a weekly Shabbat minyan in Clore Manor old age home. We form our connection to the land of Israel through our Year 11 Israel tour and our connection to the Torah on our Sem and Yeshiva trips! For more details about each of these events, please see their separate pages. Sinai is mainly based in the Jewish community hubs of North West London and of course Manchester. Our camps take place all over the UK, Europe and Israel. Children can start attending day camps from as young as when they are in Nursery and weekly groups (the T.O.V program) start from Year 2. The first Junior Camp can be experienced in Year 4 and Adventure Camp is for Year 10. Israel Tour is the last stop for the Chanichim in Year 11 before they make the awesome step up to being madrichim in Year 12 and 13. Madrichim develop into Bogrim during their time in Yeshiva/Sem in Israel and come back full of energy to take their place in one of the various teams to arrange camps and work with the madrichim. After that you may even be lucky enough to make it to the Mazkirut – the executive committee of Sinai. Once you’ve graduated from that there is space for you in our parent teams and our Vaad who handle all the legal and financial elements of Sinai Youth, as well as our charity branch Sinai Youth Club. At any stage you are always welcome in the Sinai community and as you can see there is always work to be done! At Sinai we realise that ideology can only take you so far and that often the most important things that our chanichim can learn is action. We take great pride in the fact that our madrichim and bogrim are always at the forefront of every communal initiative and act as living role models for the chanichim. Our great stress on volunteering and social action, both within the community and beyond, illustrates the fact that we believe our children should live in accordance with, rather than just learn about, our ideology.